Obituary for Richard N. Bulloss | Flinch & Bruns Funeral Home, Inc.
Bulloss- Richard N. of Southampton, formerly of Malverne on March 20, 2019. 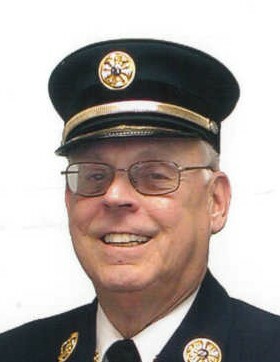 Past Chief Malverne Fire Department, former Funeral Director with Flinch & Bruns Funeral Home, and retired co-owner of Westhampton True Value Hardware, Westhampton Beach, NY. Beloved husband of Bruce W. Robertson. After celebrating a partnership of 53 years they were married at St. John’s Episcopal Church, Southampton on December 29, 2013. Son of the late Mathilde J. & Charles A. Loving brother of the late Kathryn, Charles A. and sister in law Joan. Fond uncle of Glen R., Charles A. III, and the late Leslie. Also survived by five grand nephews and one grand niece. Reposing at the Flinch & Bruns Funeral Home, Inc. 34 Hempstead Ave (corner Peninsula Blvd) Lynbrook on Saturday 7-9 PM and Sunday 2-4 & 7-9 PM. 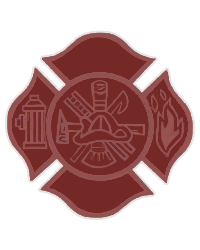 Fire Department Service Sunday 8 PM. Funeral Service at St. John-Incarnation Lutheran Church 13 Blake Ave, Lynbrook on Monday, March 25 at 10 AM. Interment Holy Rood Cemetery, Westbury. Memorial contributions may be made to St. John-Incarnation Lutheran Church.